Former professional footballer and Australian dance choreographer Ahil Ratnamohan (NSW) has partnered with Indonesian choreographer Eko Suprinyanto and Campbelltown Arts Centre in the development of a new collaborative dance work that directly engages young, untrained dancers from the Campbelltown community and Sydney based early career dance artists. Ahil and Eko come together to create a new work that explores durational practice, hypnotic, repetitive motion, and physical exhaustion which connects contemporary and traditional dance, sport and martial arts. Suprinyanto’s practice is based on and inspired by Javanese court dances and the Indonesian martial arts of Pencak Silat, while Ratnamohan blends football and dance to create physically charged theatre projects. Eko Suprinyato’s performance career stretches between major commercial productions to dance research projects. He was enlisted as a dance consultant for Julie Taymor’s Lion King Broadway production and choreographed and performed for major international productions including Peter Sellars Le Grand Macabre, John Adam’s Opera Flowering Tree in Vienna, the Barbican Centre in London and the Lincoln Center in New York, Garin Nugroho’s Opera Jawa, MAU Lemi Ponifasio’s Tempest, Solid.States with Arco Renz, and was a featured dancer in Madonna’s 2001 Drowned World. Suprinyato’s recent major work is Cry Jailolo with seven youth dancers from Jailolo North Maluku and will be touring to 10 major international Art Festivals and venues Asia, Australia and Europe in August – October 2015. Eko’s most recent performance research on the Body Embodiment of Indonesian Dancers is connected to his work on maritime culture entitled The Future of Dance is Under Water. Ahilan Ratnamohan is a theatre-maker creating physical performance inspired by sport, film, language and unorthodox forms. Since 2007, he has toured and performed in Australia, South Africa, and Europe. In 2013, he performed in choreographer Jochen Roller’s work, Trachtenbummler at Berlin dance festival ‘Tanz im August’. 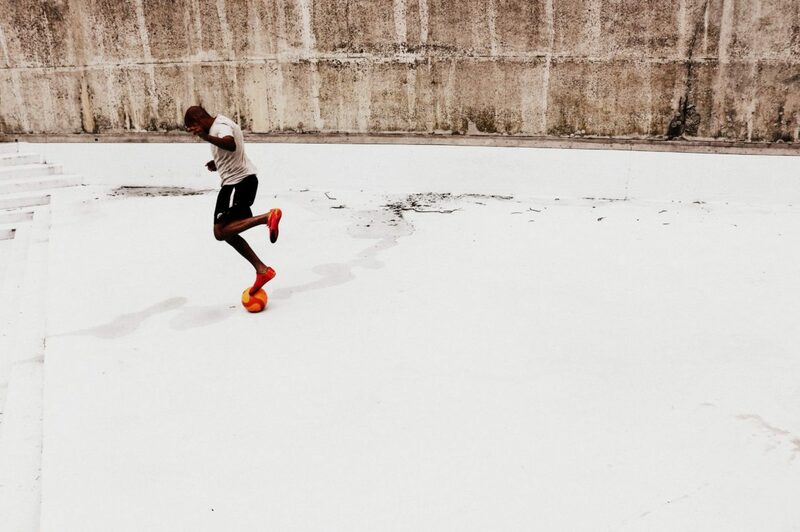 Ratnamohan also premiered his first work as a director in Antwerp, Michael Essien I want to play as you…, a football-dancework addressing the aspirations of the transient African migrant community. The work has toured to Theater Aan Zee Festival (Oostende); EXPLOSIVE! Festival (Bremen), and London’s LIFT Festival in June 2014. In Australia, Ahilan has worked with companies and artists including Urban Theatre Projects, Branch Nebula, Legs on the Wall, PACT, Powerhouse Youth Theatre, Theatre Kantanka, Martin del Amo and Campbelltown Arts Centre.